Pink Martini – On the Fly with Pink Martini and the Nashville Symphony! 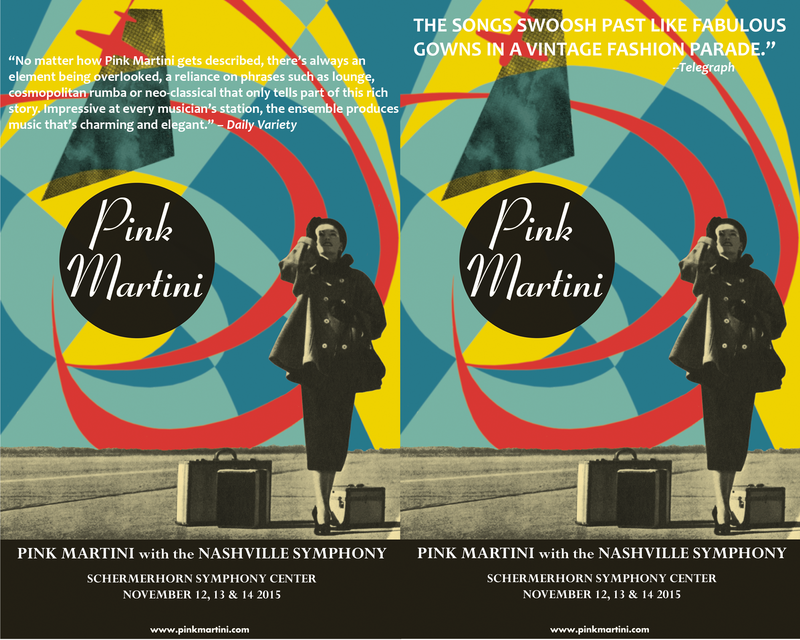 On the Fly with Pink Martini and the Nashville Symphony! Nashville, let’s paint the town Pink! 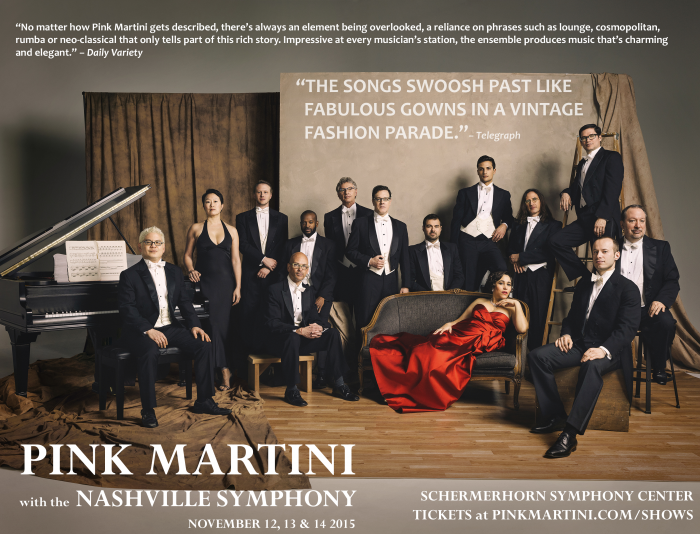 We’re giving away tickets to our shows with the Nashville Symphony on November 12th, 13th and 14th. For your chance to win print out either of the show fliers below and tape it to the water cooler at work, or the rear window of your car. Staple it to your favorite telephone poll, or anywhere else you can think to display it! Send us a direct message on Facebook, Instagram, or Twitter and be sure to include a photo of your flier living in the wild for your chance to win! Here are links to the full resolution photos if you would like to print a larger flier! *Three pairs of tickets will be given away on a rolling basis from Thursday October 29th until Tuesday, Nomember 10th at 1 pm Central Time. Winner may select their preferred show.